I'm a 30 years old software engineer living and working in Oakland California. I'm the oldest son of a family of 5. I have two sisters and my parents all of them living in Mexico. I categorize myself as a common person with a lot of drive and passion. I was born in Mexico city but moved out of the city to a province called Aguascalientes when I was 20 years old. From there I had the chance to go to Canada to study a masters degree in Oshawa Ontario. After school I moved to Toronto to work for the government and different private companies as a software engineer. Eventually I got an offer to come to California to work for an American software corporation. I started running after I finished my degree in Canada. That was at the end of 2012 I never really run before but I used to play soccer and basketball. When I realized my college soccer career was over I decided to run a half marathon. I did it in November of 2012 I barely train for it so I ended up injured but I was able to finish it in 1:32.19. After a long recovery of almost 2 months I decided to get a coach from there it was up and downs. Injuries, bad races poor improvements, some PR's but not what I was expecting. So in 2013 I started to train by myself. 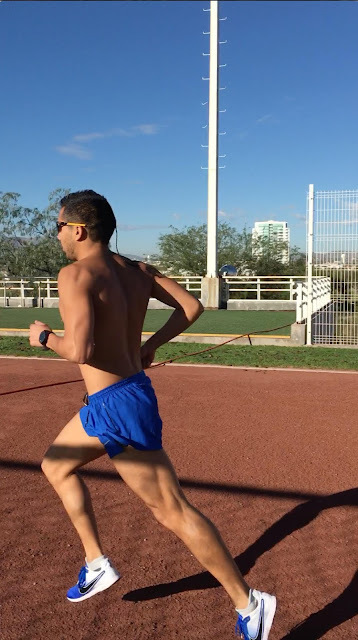 I did reasearch, read some books, I tried to understand human physiology and I started to experiment with myself in order to become a better runner. In 2015 given the poor results I almost took the decision to retire from running I started to lift weights and play recreational soccer but I started missing my running shoes and all the beautiful running routes. 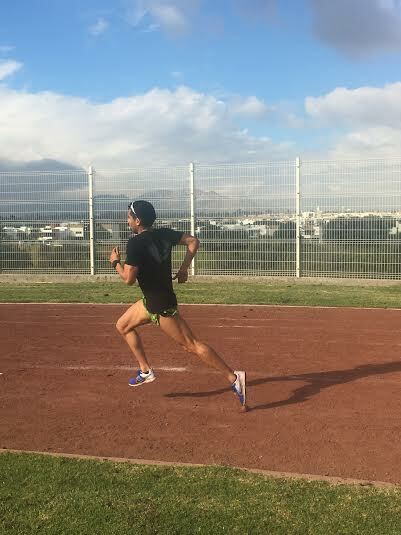 I wanted to be a good runner, I wanted to compete with the fast guys but I also stopped enjoying the gift of running. So in mid 2015 I decided to commit completely to running and luckily I also started to understood running and myself better.I decided to enjoy running and get better in the process. My goal now was to be a better runner but mainly my goal was to enjoy my sport, being grateful for having the chance to lace my shoes and go out for a run. When I started to do that my times started to get better in a dramatic rate. I believe that a key piece in running improvement is your attitude. If you have a good attitude you will become a good runner. I'm known in the street culture for three things. My running, my singing and the music I listen to. I used to be known as the "Terremoto de la salsa" which means the heartquake of the salsa. I love to listen salsa music, also I used to be a local celebrity both in Mexico and Canada because of my singing. I had the chance to sing in basketball national championships in Canada, diverse cultural festivals and university convocations. I never took singing lessons but I enjoy it a lot so when I sing I put a lot of passion I feel people appreciates that. You can see me in the streets of San Francisco and Oakland blasting salsa music. Also I'm starting to be known in the surrounding areas because of my running I've been getting podium places in different local races also people identifies me as I'm always in the same routes running people always say hi to me that's motivating it always pushes me to keep working harder. I really love the running vibe in the Bay Area and Canada. In the running culture I got to be known because of my passion. I don't talk too much when I run with my groups. I usually isolate myself and focus in the work. Once I'm done I always have a smile for my friends and a lot of jokes and stories. 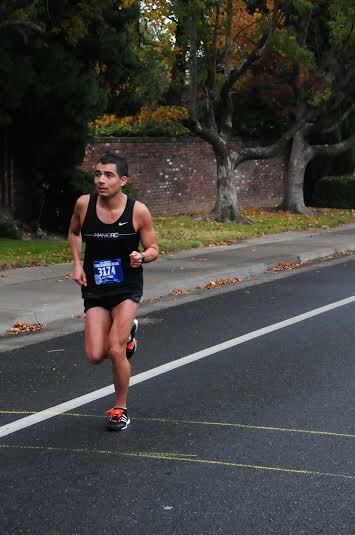 I'm well known in Toronto and the Bay Area running community. I never miss a practice, I'm always working hard and I usually have a smile for everybody. I think something that identifies me is that I wear short shorts in bright colors. I like to wear running gear that matches but at the same time creates a contrast of colors. I help a lot of people with their training I have a small group of runners in my office. 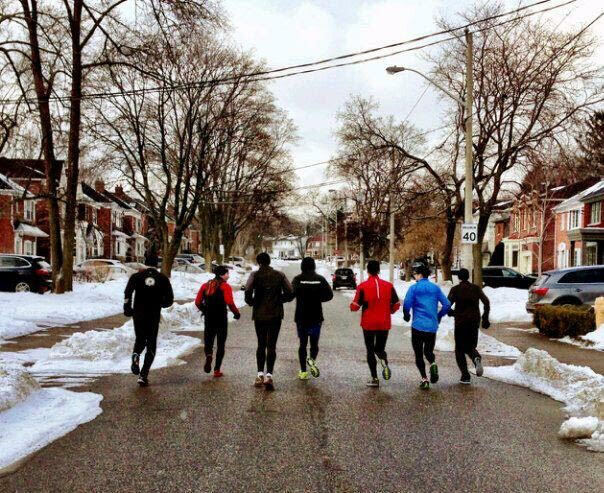 I started a running group here it's encouraging and motivating to see all of them giving the best of themselves to become a better runners. It inspires me and makes me happy! I have a Garmin forerunner 225. That's more than enough for me I'm very sensitive to imbalances in my body if there's an extra weight or something that doesn't allow me to run freely I don't need it. I usually run with sleeveless shirts and small shorts and socks the less I have to carry with me the more I enjoy my run.I enjoy feeling the wind, hearing my breath, the pound of my heart and the texture of the floor. My running shoes are Adizero Boston boost for training, Adizero Adios 2 Boost for long distance races and Nike Flyknit racers for short distance races. Sometimes I will use Nike LT streak zoom 2 for track workouts. Besides that, I don't use any other gadget to run. I'm terrible handling injuries. I always try to think that pushing through will make me stronger and mentally tougher but there have been cases where it doesn't work like that and I ended up in the sideline for months. 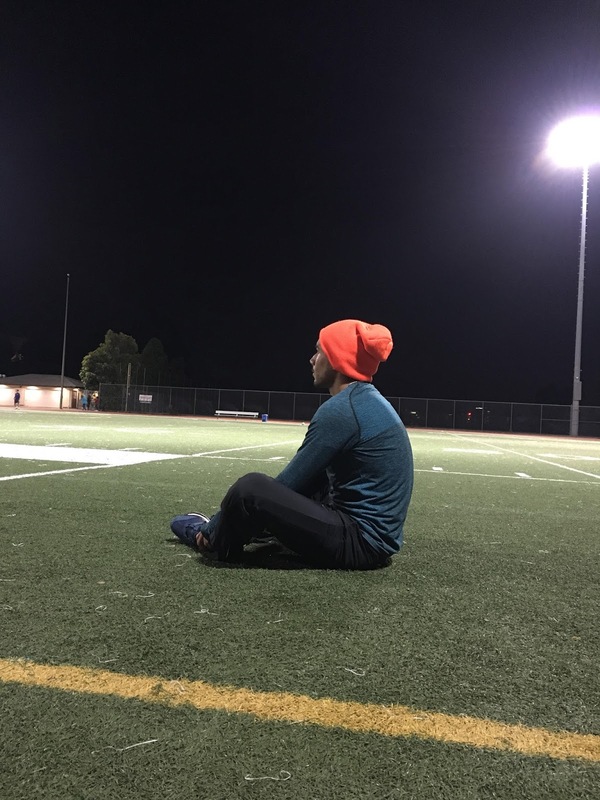 My best advice for runners is to take one or two days off when you feel a discomfort that can become an injury is better to stay out of business for one or two days than for entire months. I'm starting to know my body better I try to listen to it hopefully I can get better with this because consistency is very important to become a runner. When I can't run I will do spin classes, boxing and strength exercises. Also I try to include a lot of walking to stay in shape. I have got podium in some local races but recently my major achievement is a marathon in 2:42. 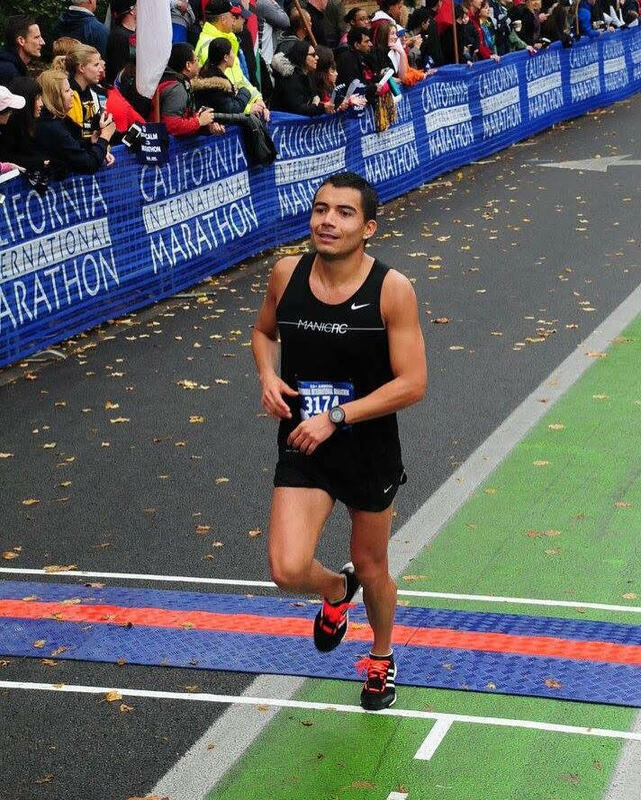 I had a big breakthrough this year improving my PR by 23 minutes in just my second marathon. I think that is my major achievement as a runner. I would love to represent my country in an international competition. World championships, Panam games or why not? Olympic games. I feel I'm capable to get to that point. I believe that the key is the hard work and passion that you put into it. If you create a plan and follow a methodology you can get very far. I'm very active in social media. I'm TheTechyRunner in instagram and artud2000 in snapchat. I also use Facebook but instagram is my main thing. In snapchat I usually talk for few seconds about my workout of the day and show some of the places where I workout. Instagram is more to keep people up to date of what I'm doing. It will be great if a full time office worker that start running almost at 30 years old can make it to the international scene. I want to be an inspiration to all the people like me that lives a common life. I want to show that with drive, passion and discipline you can accomplish big things. I have a pink pair of shorts I love to match them with a black singlet the contrast is awesome! I push through it. I try not to think about it I always remember that feeling I had in the only race I didn't finish. I don't want to feel that again so I just focus and push through it. The human body is an awesome machine we just need to let it work. I don't really think about death or the time when I will die. That time will not come soon so I don't worry about it. I just enjoy the moment.